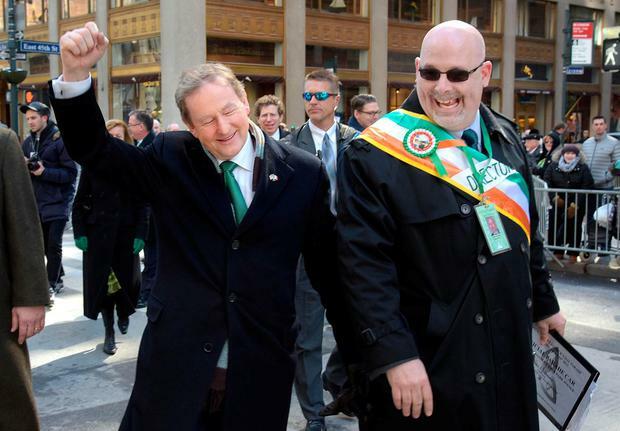 Enda Kenny will not delay his departure as Fine Gael leader - and could step down in May. That is the view of Fine Gael MEP, Seán Kelly, who also said Mr Kenny may step down first as party leader while remaining in place as Taoiseach for a short while thereafter. 31/10/2014 NO REPRO FEE: Europe's new Commissioner for Agriculture and Rural Affairs pictured with Sean Kelly MEP and former IFA President John Bryan at Hotel Kilkenny as the former Minister was honoured by Fine Gael in KIlkenny. Photo: Pat Moore. 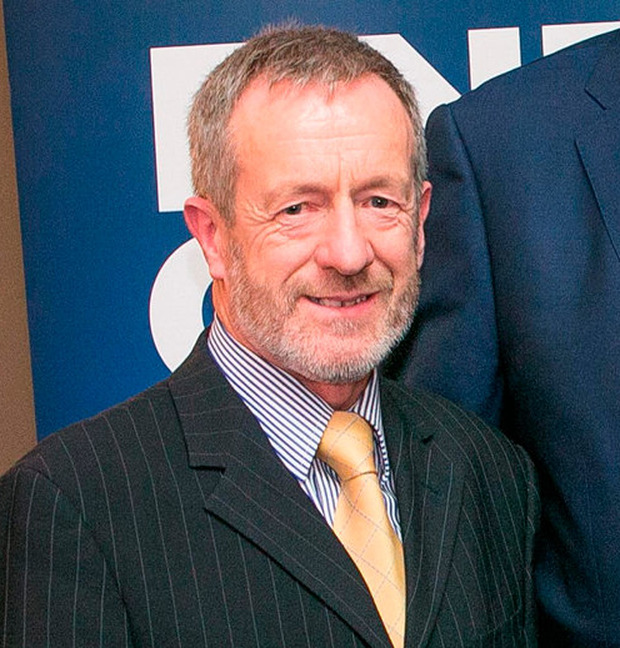 The Killarney-based MEP said he did not believe that Mr Kenny would stay too long as Taoiseach once he had quit as party leader. Speaking to RTE Radio One's Morning Ireland, Mr Kelly said; "It was logical to me that there should be a time-span between somebody taking over as leader as a party and actually assuming the huge responsibility of being Taoiseach. "This is something that the Fine Gael parliamentary party might discuss because it should come as a decision of all, rather than maybe one. "Well, as you said, the Taoiseach is going to indicate shortly the timeline for his departure and I think then the election of the leader of Fine Gael is going to take place in a matter of weeks, that's going to be pretty demanding, exhausting for the candidates. "I think if they had a number of weeks, possibly months between that and taking over as Taoiseach it would give them time to think, reflect an come up with whatever they wanted to do themselves and have a sensible, almost transparent handover of power." He has also suggested that the Taoiseach could stay on as type of Brexit ambassador who would oversee talks but said that was a matter for the new leader to decide. "What is important now is that the Taoiseach outlines his position, having come back from the United States. He will be there for the first Brexit meeting which is going to be crucial [and] which will give an opportunity to lay down the red lines for everyone involved," he said. The Taoiseach has caused some confusion and upset among Fine Gael TDs, senators and MEPs, at the weekend when he signalled he wanted to remain in office until a power-sharing government was re-established in Belfast and ground-rules for Brexit negotiations were put in place. This appeared to row back on a pledge last month by Mr Kenny that he would outline his departure plans on his return from a St Patrick's Day visit to the USA. The Fine Gael parliamentary party meet at Leinster House on Wednesday. But the issue is not expected to be dealt with at this meeting. However, several key Fine Gael figures have made it clear that they want the leadership issue settled "within weeks - not months." Housing Minister Simon Coveney warned that a ' no confidence' motion in Taoiseach Enda Kenny is "a non-issue". But he warned anyone tabling a 'no confidence' motion in Mr Kenny will discover it will attract very little support within Fine Gael. "I think that is a non-issue - I don't think there is going to be a motion of no confidence. "I think if anybody were to put one forward it wouldn't be support by even a dozen people. "I don't think there will be a motion of no confidence - there is no need for one. Mr Coveney urged party members to be patient with Mr Kenny. "I think they will wait for him to put in place a process, like he said he would, so we can manage this in a way that is good for the Government in terms of stability through an important period and also good for the party. "I think people should show a little patience to allow that process to take its course. Mr Coveney said that the people who want to speed up the process are outside of Fine Gael. "The party is pretty content at the moment that Enda will put a process in place sooner rather than later. "I think, to be honest, the party are pretty relaxed about what is happening at the moment." The Cork TD stressed that many of those "talking up" the Fine Gael leadership are not party members. "I think others are commentating on it differently to what is happening within Fine Gael. "The vast majority of people that I have spoken expected that the Taoiseach would want to be at the first European (Union) leaders meeting after Article 50 is triggered (by the UK). "I think he has indicated he wants to do that and it is no surprise. "I don't think anything has changed fundamentally from before the St Patrick's Day visit - apart from the fact it was a very good visit (to the US)." Mr Coveney said it was a "good week" for the Taoiseach and for the country. "I think he will now follow through on his commitment to put in place a process by which we can manage a transition of leadership within both Government and Fine Gael. "We can do that in an orderly and professional manner. "I don't think there is anyone in the party pushing that time agenda in the way that is unreasonable. "Let's give the Taoiseach time and space to do what he said he was going to do. "I am certainly very comfortable that that will happen."